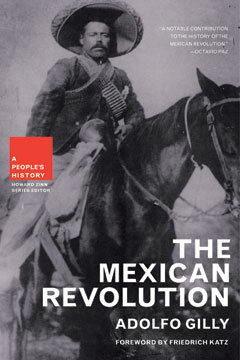 First published in Spanish in 1971, The Mexican Revolution has been praised by Mexico’s Nobel Prize–winning author Octavio Paz as a “notable contribution” to history and is widely recognized as a seminal account of the Mexican Revolution. Written during the author’s time as a political prisoner in the famous penitentiary of Lecumberri in Mexico, it sold thousands of copies in its first edition, becoming widely accepted as the official textbook by history faculties in Mexico despite Gilly’s continued incarceration. It has gone through more than thirty editions in Mexico and been translated into French and Greek. This comprehensively revised and updated edition of the original text is now available with a foreword by Latin American history scholar Friedrich Katz and a new preface by the author. A true “people’s history,” The Mexican Revolution is a stirring, bottom-up account of an event whose reverberations are still felt throughout Latin America and the rest of the world.